Download the following free white papers, presentations and application notes. 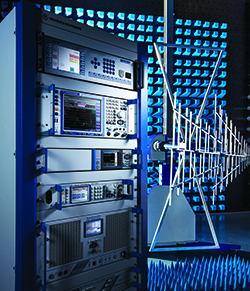 Broadband amplifiers are necessary for generating the field strengths required for most EMC radiated immunity tests. This whitepaper provides a brief overview of the role of amplifiers in EMC testing as well as a discussion of the parameters and characteristics which have the greatest influence on amplifier performance. The complexity of modern day electronics is increasing the EMI compliance failure rate. The result is a need for better EMI diagnostic capabilities at EMC test laboratories, as well as test speed improvements associated with iterative testing. 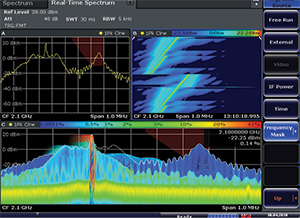 Real-time mode enables a visualization of the spectrum that in turn provides valuable insight into identifying the sources of failing EMI emissions.